The Sandpiper Rectangular Tray is made from melamine, this tray is perfect for serving individual meals on the tray or cake and biscuits to friends and family. The beautiful designs features a pair of sandpipers in a delicate grey on the cream background. 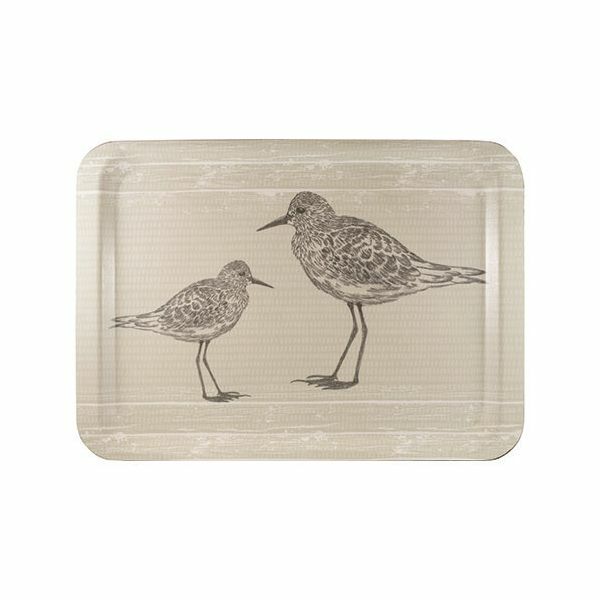 The rectangular tray is a great addition to the Sandpiper collection and also makes a great gift. Dimensions 44 x 32 x 1.2cm.